The Xiamen summit follows a tough two and a half months during which the rhetoric between India and China has been quite sharp. While diplomats smoothed out a victory over more hawkish elements by disengaging the troops at Doklam and obtaining a Chinese assurance that it would not continue its road construction at the tri-junction area, more heavy lifting will have to be done to restore the situation to pre-June terms. The bilateral tensions will no doubt spill over to the multilateral negotiations at Xiamen, especially given the negative atmosphere built up by state-run Chinese media these past few weeks. BRICS will now face its most challenging summit, not because of the West or the developed world, but because of growing differences between its two biggest members, India and China. And as Prime Minister prepares to travel to Xiamen for the September 3-5 summit, it is important to see how the bilateral relationship and several other changes in geopolitics are now going to change the course of the BRICS engagement as well. At Copenhagen in 2009, Indian Prime Minister, then Chinese Premier and other leaders of the newly formed BASIC group (with Brazil and South Africa) were negotiating a statement on the failure of the climate change summit. The group of emerging economies had been bolstered by the formation of the BRIC group (Brazil, Russia, India and China, South Africa joined in 2010) with a declared objective of battling “Western hegemony”. The BASIC countries are a bloc of four large newly industrialized countries – Brazil, South Africa, India and China – formed by an agreement in 2009 to act jointly at the Copenhagen climate summit, including a possible united walk-out if their common minimum position was not met by the developed nations. This emerging geopolitical alliance, initiated and led by China and India, then brokered the final Copenhagen Accord with the United States. Subsequently, the grouping worked to define a common position on emission reductions and climate aid money, and to try to convince other countries to sign up to the Copenhagen Accord. After much back and forth, Leaders of China and India accepted an American compromise on the wording of the drafts, and the Copenhagen accord went ahead. The Copenhagen Summit didn’t just change the course of international negotiations on global warming at the time; it heralded the arrival of emerging economies as a political force in the form of BRICS, and particularly the potential of the combined political clout of India and China. 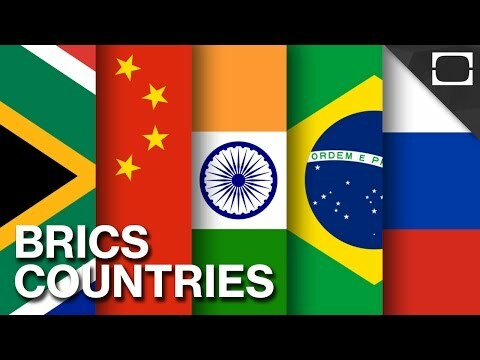 What began as an acronym coined by investment bankers at Goldman Sachs in 2001to symbolise the engines of economic growth in the twenty first century, BRICS has evolved into something much bigger — a representation of the changing geo-political and geo-economic world order. BRICS countries agreed upon in the Goa Declaration of October 2016, developing common positions not just on climate change but also on terrorism, energy, and world politics. Since then much has changed in the years ahead. The BRICS nations have together promoted their exports, coordinated responses in international legal disputes, successfully negotiated for their increased voting share at WB. New Development Bank has already given out about $6 billion in loans for 23 projects across BRICS countries. But this is no mean feat given the vast differences in size and political systems, and internal turmoil in BRICS countries. The truth is that BRICS now faces its most challenging summit, not because of the West or the developed world, but because of growing differences between its two biggest members, India and China. Beyond the bilateral issues over the boundary, Nuclear Suppliers Group membership for India, terrorism, the Dalai Lama and others, the rift over China’s Belt and Road Initiative (BRI) is also likely to dominate discussions at BRICS. India’s refusal to be a part of the BRI over sovereignty issues, coupled with its broader objections to the transparency and agenda of the project, was a cause for tensions before the Doklam stand-off. But there is little doubt that China will aim to bring the BRI on the table for negotiations at BRICS, to win a statement of endorsement as it did at the Shanghai Cooperation Organisation last year. India will have to use considerable leverage with other members to ensure that its concerns prevail. However, it must be remembered that Russia and South Africa are important parts of BRI, with a $20 billion Brazil-China infrastructure fund inaugurated this May. A major challenge for India is likely to arise from China’s plan for a “BRICS-Plus” or “Friends of BRICS” grouping, to include Pakistan, Sri Lanka and Mexico to an expanded version of BRICS. The suggestion of including Pakistan is something India has hesitated at but it wouldn’t want to be seen to be opposing China’s rationale of promoting “south-south cooperation” further. Russia’s distancing from the U.S. and Europe post-2014 and the Ukraine crisis in particular have increased its dependence on its east and south, mainly in the direction of the $300 billion Russia-China oil pipeline that China is funding. This could affect the language of the joint statement, especially on issues like Afghanistan, on which BRICS members had previously been on the same page. The U.S.’s new Afghanistan-Pakistan-India policy, that builds India’s economic assistance into its own strategy for Afghanistan, will manifest battle lines in the latest round of this age-old battle, with Russia, China, Iran and Pakistan ranged on one side, and India, the U.S. and NATO allies now on the other. In keeping with this, Russian Foreign Minister has called the U.S.’s Afghanistan policy a “futile course”, while President’s Afghanistan envoy has warned against “putting too much pressure” on Pakistan. At both the BRICS conference in Goa last October, as well as the Heart of Asia summit in December, Russian officials objected at backing India’s strong language on terrorism emanating from Pakistan. It is an indicator of the importance of BRICS that both India and China appeared to have exerted enough pressure on officials to bring about the disengagement in Doklam a week before the summit at Xiamen. The Indian government must be credited for ensuring that it won peace at Doklam without building the outcome up as a defeat of China, which would have made their rivalry at BRICS that much more intense. In this, BRICS has evolved better than two other groupings, SAARC and the Non-Aligned Movement, whose last summits India skipped, and appears to have abandoned. It remains to be seen how the two country leaders use next week’s bilateral encounter to chart a road map to repair ties. This could provide a realistic understanding of where the road ahead leads for BRICS as well. In line with the theme of the summit, which is “Stronger Partnership for a Brighter Future”, India and China must use BRICS to build a house, not a wall.